Are college students letting technology take over their life? As we know, technology is up and coming, and not going anywhere soon. The rapid increase of technology is something I have never witnessed before. People in the 21st century, especially college students, have access to way too much technology, that their lives could revolve solely on it, if they really wanted it to. Now, colleges and universities have online classes, food delivery services, and students can even have video game systems in their dorm room. Is it even worth spending so much money on going to a big university when you don’t even have to get out of bed to receive an education? First of all, online classes are absolutely pointless. Im not even sure why they are available because students will not properly retain any of the information they are “learning”. They can take a test, or listen to a lecture while not even getting out of bed. Students will not be able to raise their hand and ask questions when they are confused, thus leading them to resort to asking Siri, or using Yahoo answers. Again using unnecessary technology! I value getting to know my peers in my class and receiving help from them. With an online class you only have yourself to rely on. Instead of talking to your teacher face to face, you speak through your computer via email. Personally, when I email teachers it is nothing like actually speaking to them in person. More information is given while talking and directions and questions are answered more clearly. Online classes fries students brains and eyes due to their computer screen. Here is an article I stumbled upon about the downsides of online classes! After having their online class students will reward themselves and order comfort food like pizza or cookies. Ordering food to be delivered is always a pain. Restaurants always get the order wrong have no visual proof on what was actually said, they just write what they hear. 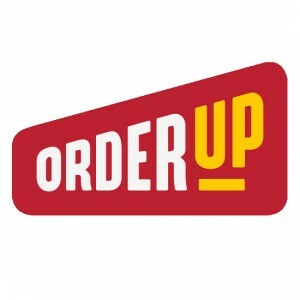 Now, in order to eliminate the confusion and conflicts while ordering food, Penn State invested in OrderUp. OrderUp is an online food delivery service that delivers right to your building. Instead of getting out and walking to the dining hall, students resort to their computer or cell phone and in a push of a few buttons there food will arrive. You don’t need to get out of bed to receive and education or nourish yourself with food due to technology! Obesity is a common thing amongst teens due to technology. A sedentary life is put into place when teens revolve their life around video games, or the computer. Here is an article that analyzes technology linking to obesity. Physical activity is not a thought in their mind. Online delivery services basically supports teen obesity. Most of the options online are unhealthy and detrimental to ones health. What’s the point of that? Video gaming systems are allowed in students dorm rooms, there is no motivation to go outside and get some exercise? Playing NBA 2k16 is basically the same thing as going to the gym and playing basketball, right? Wrong. Video games are toxic to the human brain and so is social media. Social Media consumes the average college students life and everyones biggest concern is, is this okay to Instagram? There average time a teen spends on their mobile device has skyrocketed since 1999. According to the Kaiser Family Foundation, the time teens spend on their mobile devices increased about an hour and 20 minutes a day. In conclusion, technology has taken over college students, therefore leading to a decrease in proper education and living a normal college life. This entry was posted in Uncategorized on September 12, 2016 by Jacqueline Brocco. This article was extremely interesting! I loved learning more about the effects of how technology could possibly be hindering us instead of helping us. This topic reminds me a lot how social media could be ruining one’s self esteem. With a world obsessed with instagram, twitter, and facebook, everyone is worried about the amount of comments or likes they receive. Why is our society so indulged about how they look online than how they act in the real world? As someone who takes an online class I have to disagree with you on the point that you made claiming that you only have yourself to rely on and that you become lazy. My online class forces me to be on top of my work. There are deadlines you have to meet and you do not have a teacher verbally reminding you of when your assignments are do. To be successful in an online class you have to be willing to do anything it takes to be successful. When I realized I was struggling with my class I reached out to a girl who was in my major and asked if we could work on the assignments together. Since collaborating with her, we both have increased our grades in the course. If you feel like you cannot be successful in an online class check out this article http://ualr.edu/blackboard/2013/11/14/staying-motivated-in-online-courses/ from the University of Arkansas that gives some tips on how to make the most of an online class.